Ninety new F-35 fighter jets will be delivered to the US government and its allies at a saving of $728 million. While the price drop may not have been entirely unexpected, manufacturer Lockheed Martin attributed it to President Donald Trump personally. The final figures for the 10th Low Rate Initial Production (LRIP-10) contract, released by the Pentagon on Friday, show a price tag of around $8.2 billion for the 90 aircraft - with 35 planes going to various US allies and 55 entering service in the US Air Force, Navy and the Marines. “President Trump's personal involvement in the F-35 program accelerated the negotiations and sharpened our focus on driving down the price. The agreement was reached in a matter of weeks and represents significant savings over previous contracts,” Lockheed Martin said in a statement. White House Press Secretary Sean Spicer was quick off the mark and declared it “another big win that the president has delivered on for US taxpayers.” On Monday, Trump claimed to have saved $600 million in F-35 renegotiations, a claim the media derided as false, since the savings were reportedly already in the works. In a December 19 briefing, head of the F-35 Program Office at the Pentagon, Lieutenant-General Chris Bogdan, told reporters the LRIP-10 savings would be “somewhere on the order of 6 to 7 percent per airplane, per variant,” Business Insider noted. “I fully anticipate that when we do settle LRIP-10 you'll see all three variants, the A, the B, and the C come down in price significantly,” Bogdan said. Friday’s figures show the Air Force’s A variant at $94.6 million, or a 7.3 percent reduction in price from the previous contract. It is the first time that the cost of any F-35 version has dipped below the $100 million mark. The A variant makes up most of the LRIP-10 batch, with 76 jets. 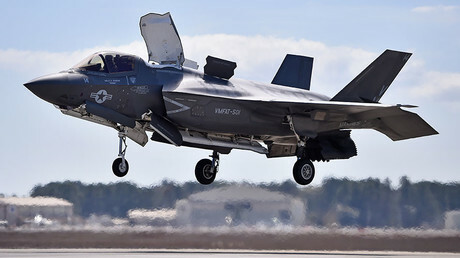 The Marines’ F-35B, equipped with additional engines for short or vertical takeoff and landing, is the most expensive at $122.8 million apiece, while the Navy’s F-35C is slightly cheaper at $121.8 million each. 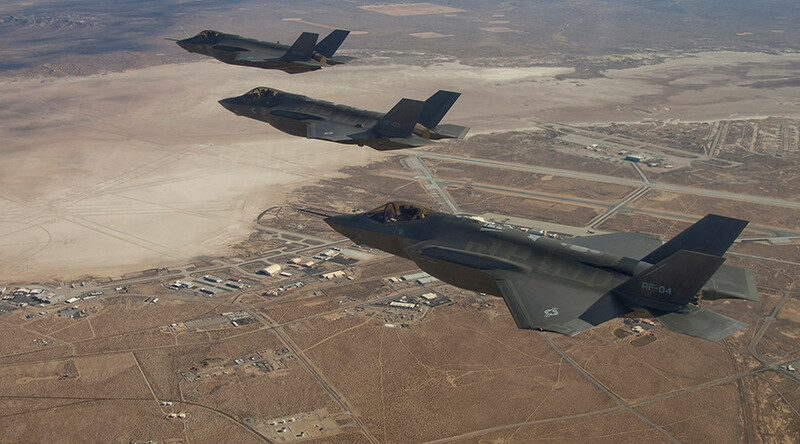 Averaged out between the three variants, a single F-35 from the LRIP-10 batch will cost $102.1 million. Lockheed Martin has not only come under scathing criticism over the price tag for the fifth-generation stealth fighter. There have also been embarrassing reports of the many problems with the plane’s control and maintenance software, training schedule and design deficiencies. CEO Marillyn Hewson met with Trump just days before his inauguration and pledged to bring the price down, after the president-elect blasted the “tremendous cost” of the F-35 and threatened to solicit a quote for upgraded F-18 fighters from Boeing.